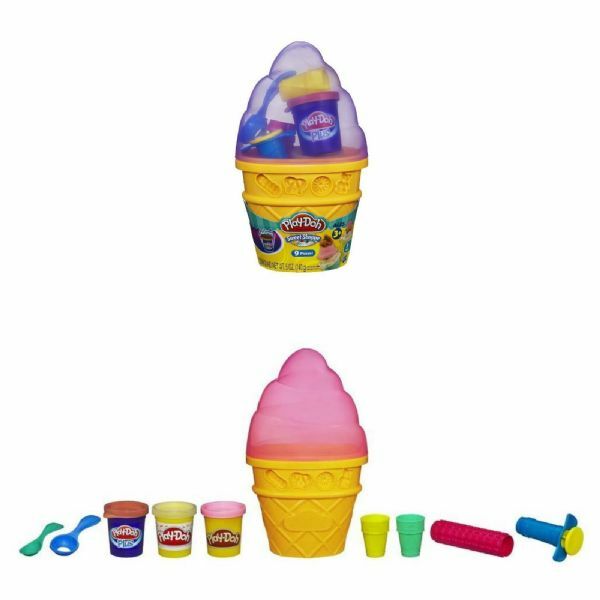 You're going to make some tasty-looking Play-Doh treats with the tools and modeling compound in this container that's shaped like an ice cream cone! The extruder lets you shape delicious-looking pretend ice cream treats with the 2 colors of Play-Doh modeling compound, and so do the "ice cream" scoop and spoon. Decorate your pretend treats with the smoother, softer Play-Doh Plus compound! When you're done creating your chilled "treats," store your compound and tools in the container! Fun to play with but not to eat.